Owned by Singapore based GITI, Dextero tyres have the backing of a global brand that exports and sells tyres in more than 140 countries. Manufactured in China, all Dextero tyres are rated as all-season, although the company does vary the performance ratings for their different products. Dextero offer a selection of high performance and general passenger tyres to cater for the budget tyre shopper not wishing to compromise on quality. 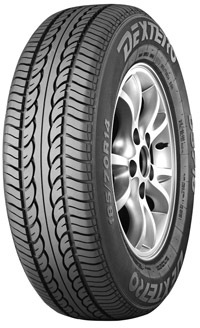 To check out the range of Dextero tyres sold by Easywheels.co.uk see below. Alternatively visit the companies website here Dextero to find out more about the brand and their history. The DS718 tyre from Dextero is a fantastic tyre for those looking for maximum performance and protection from irregular wear. Not only do the DS718’s offer great traction in the dry but the design has taken into account the need to evacuate water as much as possible in wet conditions to prevent you losing control as well as offering the best grip possible. This tyre also has enhanced shoulder grooves for even better cornering performance so no matter what you need from your tyres, the DS718 has it all.